With the latest release of my B2B Marketing Automation Vendor Selection Tool (VEST), I dived into data in search for additional things to share about it. I had no particular expectation of what I’d find in the data from the latest VEST report. 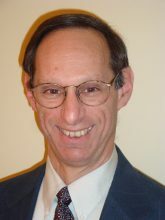 Happily, I did find something intriguing, at least to my obviously-biased eyes. 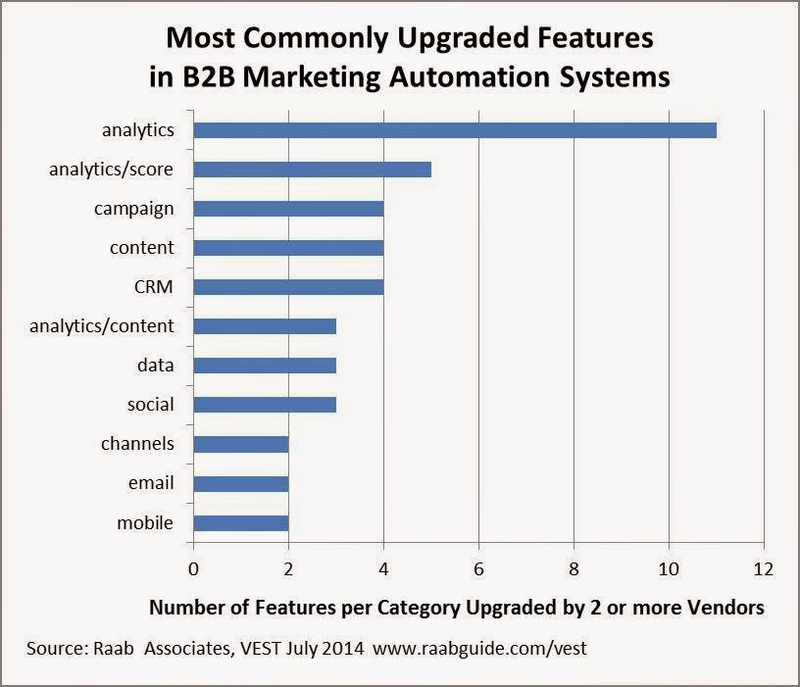 When I looked at the most common items that had been upgraded by three or more vendors, it immediately became clear that changes related to Marketing automation analytics features were heavily represented. What I did for my analysis was look at changes in vendor scores for the 200 items that go into the data. That gives an interesting view of where vendors are improving their products. In fact, if you count lead scoring and content testing as part of analytics, seven of the 12 items fell into that category. 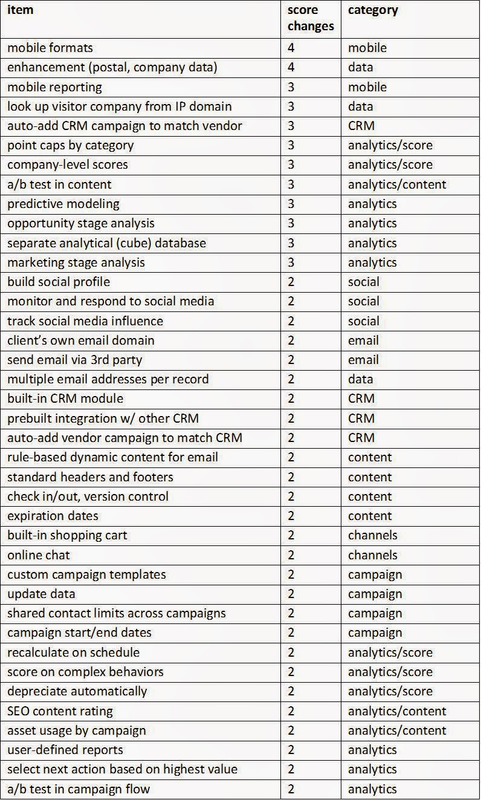 By including items upgraded by two or more marketing automation vendors, the analysis expanded to 43 of the 200 total. Houston, we have a pattern! The results from the expanded set showed the same image – 19 of the improved features fell into analytics, compared with 4 each in the following most common groups being CRM integration, content marketing and campaign management. I might have expected more development of features for social, mobile, and content marketing, which are top-of-mind for many marketers today. So this result was totally unexpected. But can still be explained with 20/20 hindsight. Social and content marketing are mostly managed outside of marketing automation. Mobile is mostly limited to ensuring messages are viewable on mobile devices. By contrast, analytics is something most marketers do want from their marketing automation system and an area where it there is still potential for great improvements. As opposed to what people are talking about, a clear understanding of how marketing automation is actually used, would have predicted analytics as the focus of vendor attention. This analysis is just a by-product of the primary purpose of my report, which is to assemble apples-to-apples comparisons of B2B marketing automation vendors so that buyers have an easier time finding the right system. Better analytics are at the top of the agenda for marketing automation vendors. It is interesting to note that features are being added most aggressively by newer products including SimplyCast, SharpSpring, MindFire, and Microsoft Dynamics Marketing, which are filling in gaps in their offerings. Industry growth remains on track to reach the $1.2 billion in 2014 vendor revenues estimated by in February, a 50% increase on 2013. Despite fast growth and new competitors, leading vendors in each segment: micro-business (under $5 million revenue), small and mid-size business ($5 to $500 million revenue) and large enterprise (over $500 million revenue) remained the same.